Singing from a Tamarix on foreshore. Short, perched song including fast trills comprising up to 11 elements. Perched song from matorral habitat. Perched song from overgrown gardens. 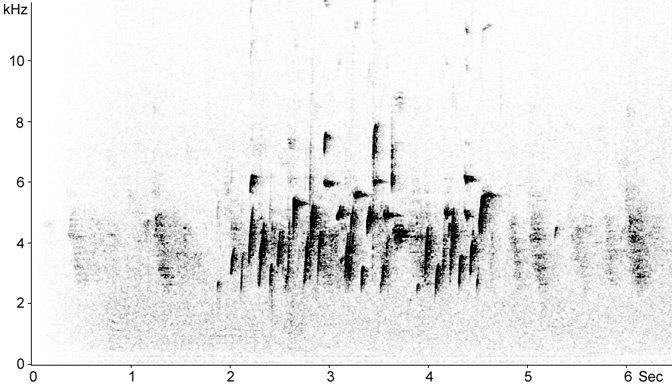 Single burst of territorial song from marshland scrub.